Knowing sight words is an important step towards children’s reading and communicating fluency. It seems easy, but learning sight words involves several elements: recognize the print, so kids know the word when they see it on paper; recognize the sound, that kids can speak the word; connect the word with real object or action; know how to use the word in every day communication, including use it in sentences and being able to spell the word. We used to use different sight word learning tools for different objectives, such as flashcards for print recognition, picture books for word object connection. Now with many digital learning tools available, we start seeing tools addressing more than one learning objectives. Today we share the learning tools we liked and would like to hear from you on learning tools you used as well. 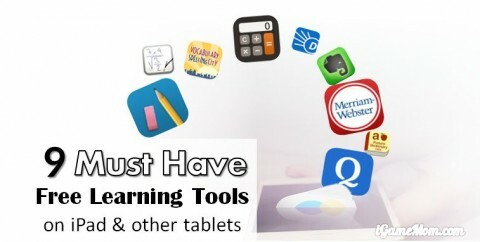 We list our tools separately for those available on iPad and other mobile device, and those available on computers and prints. The Sight Word Adventure: with 7 fun games, kids learn all aspects of sight words they need know. The app covers over 300 sight words. It is one of the most fun sight word app we’ve seen. Sight Word and Spelling with Pixopop: there are 3 parts in the app: flashcard, word challenge and spelling. 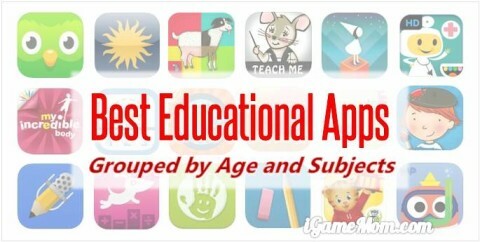 App covers over 200 words for kids in Kindergarten to 3rd grade. Lola ABC Party: designed for the youngest group, toddlers and preschoolers learn letters and simple sight words with the Panda Lola, while helping her set up a party for celebration. Smiley Sight Word: one of the most comprehensive sight word app, not only include Dolch sight words, but also Fry, Pinnell Fountas, UK and more, with a total of over 1000 words. Users can create their own lists too. Sight Words: a list app, but more. With many features an app can offer, kids can hear the words, see example of words used in contexts, adding words to the lists. And with all these, it is Free! 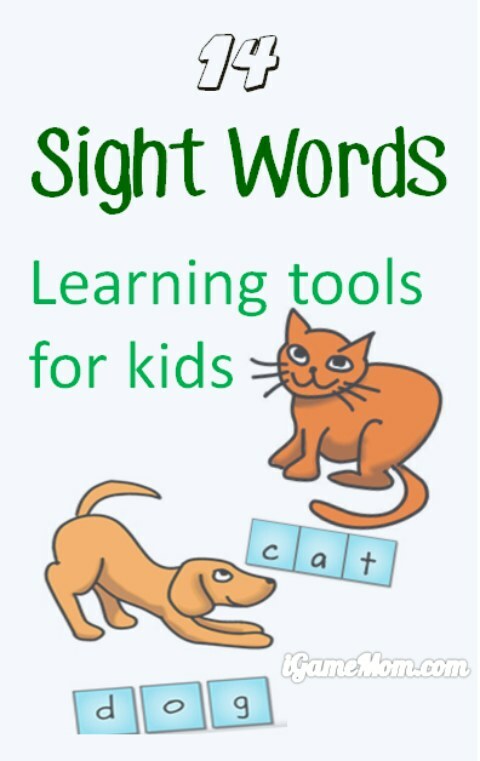 Sight Words list: designed for kids age 1 to 4, it is a flashcard app with games, plus interesting audio and visuals. Joy of Reading: a comprehensive reading app for kids, including letter, phonics and sight words. Kids not only learn to read sight words, but also the use of these words. Spell Blocks with Sight Words: kids spell the words with wood letter blocks after they hear a word, including over 200 Dolch sight words. A good one to practice spelling and writing with fun. Reading Magic from Bob Books: a series of reading apps helping kids develop reading skills. They supplement the print books of the Bob Books. In addition to learning spelling and reading the words, it is a great series for kids to learn using the words in contexts. Spelling City: a free app that is also a website available on computer. 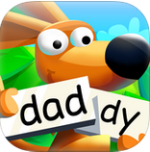 Users can create customized word list, kids can learn the words with different games. How to teach sight words: many good and practical tips for teaching sight words. Sight word lists and Flashcard: a teacher’s website including sight word lists and flashcards made in Powerpoint. Starfall sight word play: kids read and listen to a sentence, then are asked to click one word in that sentence. Sadlie Oxford Sight Word Game: an interactive site where kids can finish stories by dragging the right words to the blank spots to finish the sentences. Do you have any recommendations on sight words learning tools and resources?